This summer was definitely the hardest time in the history of KickassTorrents. We all know how the Police arrested the owner of KAT and therefore the site was kept down for weeks. As it seems tough times are not over yet, as the Australian Federal Court is working on having local ISPs block all possible access to KickassTorrents website. However, ISPs are wondering who will pay for all the hassle. In spring this year, ARIA and APRA AMCOS joined to submit a claim to Australian court in order to have the pirate site blocked. The application against KAT in Australia got named Down Under. Sony Music, Universal Music, Warner Music and J Albert & Son all started to work together to get KickassTorrents blocked by Aussie ISPs. The biggest concern against the torrent site was at the time that KAT as well as its users showed no respect to artists and people creating art. The companies behind these accusations must have felt relief in summer when KickassTorrents was taken down for a while together with having the owner arrested in Poland. However, now when the dust has settled, the Aussie case has been brought up to daylight again. But blocking the pirate site is not the only question in court. For ISPs it is even more important who will pay for the extra expenses that these site blockings bring up. Each ISP has calculated its costs to be around 10,000 US dollars and none of them are interested in paying it, of course. The other party behind the accusations want to have a strict regulation which would mean ISPs had to block an infringing site only in 10 days after a notice. So far there is no final decision from court but we will keep you updated how this cat and mouse game around the ISP blocking continues. It is clear that the entertainment industry wants pirate sites blocked, the ISPs want someone else to pay the costs and this is how the inevitable but usual torrent blocking hassle continues. 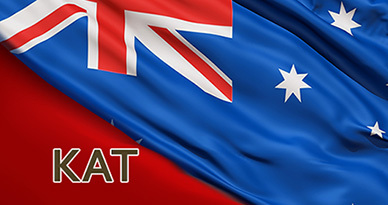 As for now, people in Australia are able to access most of the data of KAT.